Lincoln Maids it proud to offer our Long Beach Cleaning Services to the businesses and offices of Long Beach and surrounding areas. Our commercial office cleaning and building maintenance services are perfect for keeping your office building tidy and professional day in and day out. 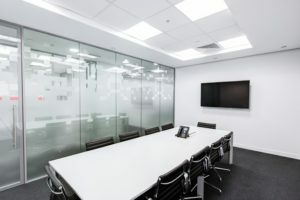 A clean office building and a cared for environment office leads to more productivity in employees and better staff morale, which in turn can impact your bottom line! Which is why it’s essential to stay on top of building maintenance and adhere to a consistent cleaning schedule to keep your employees performing at their best in an environment they can feel good about. With Lincoln Maids cleaning services, you get recurring cleaning set to your schedule. Easily book your appointments online for dates and times that best fit your schedule. Whether it’s before employees come in for the day, or after the day has wrapped up, Lincoln Maids has a professional cleaning team ready to make your office look like new. If you prefer to have the office or building cleaned during work hours, our experienced cleaning teams will be sure blend in and not distract you or your employees from their responsibilities.